Why BIM has a LONG way to go. 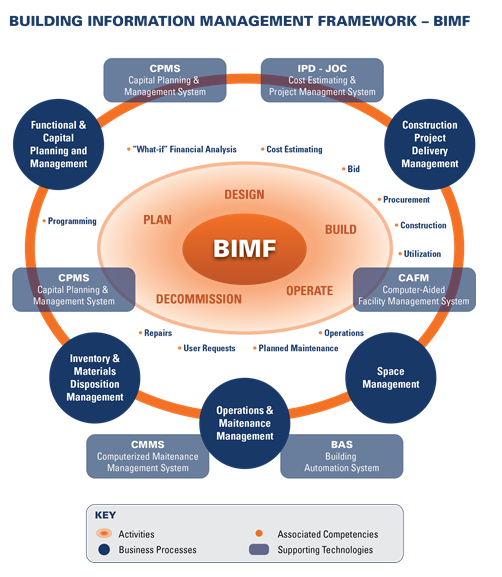 BIM is the life-cycle management of the built environment supported by digital technology. BIM is not exclusively design, nor does it require 3D modeling. 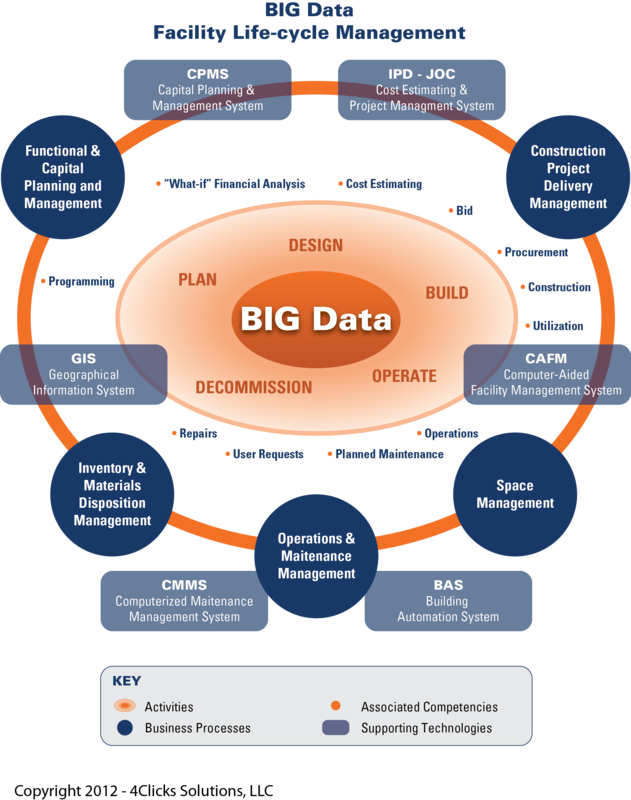 BIM does require information modeling. A recent BIM adoption survey in Canada highlights some of the major educational and cultural issues yet to be overcome. The BIM uptake in Canada survey results were published by the Institute for BIM in Canada (IBC), which is home to buildingSMART Canada. The aim of the survey was to collect data on the use of BIM in the Canadian construction sector, identify bottlenecks in the adoption process and flag any issues arising. 2. Some 80% believed that model ownership should be vested primarily with the architect. – NOT GOOD. BIM required collaboration of all parties and ownership of the model should always reside with the OWNER. Granted for various projects, temporary ownership from a management perspective can be allocated to any appropriate authority. 3. More than 50% said that sharing BIM models might cause legal issues. – NOT GOOD. An appropriate collaborative construction delivery model …aka IPD or JOC should address any potential issues. 4. The survey showed that BIM implementation is a slow process, with many users still seeing BIM predominantly as a 3D modelling system. – VERY BAD Our industry should be well beyond this in 2011 or 2012. Are people not keeping up with business and technology trends? mandatory requirement for public projects. – GOOD However, only if the definition of BIM is clear and detailed. LEED Certification, and LEED in general has been a GREAT marketing tool. That said, should LEED be a requirement? Is LEED cost effective? Should LEED be modified? The below letter clearly states that cost will INCREASE should the GSA move away from LEED? How can that be? What costs would increase? Is there no better way for GSA to meet sustainability requirement than via LEED? Take a look at the letter and please post you comments. The U.S. General Services Administration (GSA) is to be commended for its leadership in improving energy and environmental performance across its federal building portfolio. The recently released sustainability and energy “scorecard” by the Office of Management and Budget (OMB) demonstrates just how successful GSA has been at reducing costs, improving efficiency and eliminating waste. GSA earned the highest rating in all categories in the 2011 sustainability scorecard released from the Office of Management and Budget (OMB). GSA reduced emissions from federal buildings more than 20 percent compared with 2008. That incredible reduction led all federal agencies. GSA is ahead of schedule in reducing its potable water and electricity use. These efforts are paying off in real terms. According to the OMB, investments in efficiency over the last four years are expected to save $18 billion in energy costs over the life of the projects. In an effort to continue this success, GSA is evaluating the building rating tools at its disposal, as required by the Energy Independence and Security Act of 2007. LEED is the most widely used high‐performance building rating system in the United States. The private sector uses LEED to both verify and communicate the quality of high performance buildings. If GSA, as the “landlord of the federal government,” were to require or use something else, it would add cost to the building and leasing process across the building industry. We are not in favor of adding cost. Again, we commend your agency for its success in reducing the operating cost and impact of the federal building stock. We support your continuation of the rating tool evaluation process and focus on the usability, market acceptance, and effectiveness of rating tools rather than distractions focused on a single issue. Acme Paper and Supply Co, Inc. Brewer Ingram Fuller Architects Inc. Final Air Balance Co., Inc.
International Commissioning Engineers West, Inc.
Lewis Alan Office Furniture, Inc.
LORD Green Real Estate Strategies, Inc. Mobile Janitorial & Paper Co.
Moore Nordell Kroeger Architects, Inc.
Vornado Realty TrustW.S. Cumby, Inc.
C.T. Haydock, Landscape Architecture, P.C. Earth Day New York, Inc.
EcoEnergy Consulting and Supply Corp.
Energy and Sustainable Design Consultants, Inc.
Generation 3 Development Company, Inc.
Gulf Geoexchange & Consulting Services, Inc.
Heffernan Holland Morgan Architecture, P.A. Hellmuth + Bicknese Architects, L.L.C. Hoboken Quality of Life Coaltion, Inc.
Miller Sellers Heroux Architects, Inc.
Riesterer Law & Consulting, Ltd.
S & L Development, S. E.
via http://www.4Clicks.com – Premier cost estimating and project management software for efficient construction project delivery – JOC – Job Order Contracting, SABER, IDIQ, IPD, SATOC, MATOC, MACC, POCA, BOA. BIM objects are as much about the embedded data and information as they are about the spaces and dimensions that they represent graphically. Here Stefan Mordue, NBS Technical Author and Architect, looks at the thought process behind the National BIM Library’s next phase of generic content. Since the inception of the NBS National BIM Library in 2011 we have been laying the foundations for a robust library of quality BIM objects that are applicable to the UK construction industry. The library is produced with input from Autodesk, Bentley, Tekla, Nemetscheck and Graphisoft as well as comments and suggestions from a number of user groups and forums. The next phase of generic content includes floor finishes, panel partitions, panel cubicles, signage, sanitaryware and hard landscaping. The National BIM Library includes objects with sophisticated and consistent graphical and parametric control. These objects all carry varying degrees of graphical data such as size, shape and area, and feature different levels of parametric control to manipulate them graphically. We have considered the level of information which is represented. For example, the detailed modelling of a toilet flush lever could include many facets and extrusions, and at the early stages of design generic objects have little need for very high levels of detail. Aside from the dimensions of the objects themselves we have further considered their relationship to other objects and zones of clearance. For example, an accessible WC package is made up of a number of items such as WC, sink, hand dryer. These are available in a number of sizes that can be grouped within a data set. However, when assembled to make an accessible WC package, we have considered further dimensional information such as wheelchair turning circles, clearance zone and tolerances. The clearance zones for the accessible WC package are based on documents such as BS 6465: Part 2 Sanitary installations and Approved Document M of the Building Regulations (E&W). Standards and regulations have been taken into account in a number of other objects, for example vision panel layouts, effective clear widths and side clearances in our doors have observed BS 8300. Performance information is perhaps the most important non-graphical data as it defines a product by its output characteristics, and assists the designer in with product selection. While we may use an in-built application within the BIM platform or an add-on plug-in to analyse, say, structural or energy performance, we must remember that this data has to come from somewhere, therefore the more information we put in the more we will get back. The intention of the National BIM Library objects is that they follow the construction work flow. So as a project develops, the specifier uses concept objects, detailed objects and (based on our work with manufacturers) proprietary objects. Evolving from generic to proprietary objects during the design process and not, as often happens, during the construction phase, means that we have the opportunity to see in real time the effects on project objectives such as performance and cost. We have added a rich set of properties for construction and Facilities Management that are presented in a consistent and structured manner. Pour layer based objects are created using a database through IFC which provides consistency of nomenclature etc.. across the board and also allows for automated checking before information is disseminated into objects across all BIM platforms. Our own standard National BIM Library properties as defined by our technical teams. Each National BIM Library object has IFC parameters embedded within it, the definitions of which have been obtained from the BuildingSMART IFC2x3 website (www.buildingsmart-tech.org). In the case of a shower object, for example, information includes data such as drain size, tray and shower type. Once installed, products need maintenance, replacement or upgrade and so attributes such as lifespan and replacement costs become beneficial when planning scheduled maintenance. Examples of the type of data in National BIM Library objects includes details of warranties, start date, production year and replacement costs. The objects also include COBie parameters for which we have sought guidance from BuildingSMART. Through their work on COBie UK 2012, the objects will be updated in this and future releases, for example our Phase 2 content now incorporates parameters for accessibility, Code and sustainability performance. When we consider installation information it may not be practical or necessary to add step by step instructions regarding the installation of a component. In many cases installation information is a reference to NBS workmanship clauses or the manufacturer’s installation guide. When we change from a generic to a proprietary object we have the opportunity to include manufacturers’ installation instructions as a hyperlink. In addition to the IFC and COBie properties we have added our own National BIM Library parameters. Data must be categorized and arranged so that it can be easily retrieved otherwise it is difficult to use – it is standard formats that drive the ability to use the data outside the BIM project file. In order for the information to be meaningfully reused it requires a consistent set of parameters and attributes, with consistent naming conventions. As a bare minimum, a product can be identified by a trade name or model number. However, the National BIM Library parameters provide a consistent set of attributes across all objects, giving information such as version number, issue date, Uniclass title, section and clause number and system outline reference. This work is backed up by a team of Technical Authors comprising architects, structural engineers, landscape architects and service engineers. As these objects are intended for the UK market, we have incorporated sizes that are typical of UK standards. We have added commonly available optional items that would often be associated with sanitaryware such as enclosures to showers, screens to baths and gratings to cleaner’s sinks. We have also looked at rationalization of how components are structured. We’ve carefully considered how the objects are used and provide useful ways to configure a variety of sizes quickly, accurately and robustly. For example multiple sizes for signage can be selected from one object. We have started to develop our signage objects with the inclusion of fire and safety signage. In determining signage sizes and taking into consideration observation distance we have referred to BS ISO 3864-1 and BS 5499-4. In looking at how users will be using the objects we have added parameters that control the visibility of the 2D detail symbol of the sign on plan. This representation of the sign in plan view is purposely not to the scale or to the measurement of the actually sign object itself as its intension is for a graphical symbol and reference on the drawing. We have further considered which dimensional parameters will be user configurable and which parameters are set by formulas and cannot be altered. For example the width of the border surrounding the sign is fixed with a formula 0.025xHeight and so will be always proportional and sets the minimum requirements for the signage boarder width. Our shower screen on our shower bath has the ability to amend the height. However due to the shape of the bath the screen can not be controlled parametrically and therefore this parameter has been locked. The length of the shower screen is fixed and changes automatically when the bath size changes. To make the objects as user friendly as possible we have considered how objects are hosted and relate to their surroundings. Our ceiling mounted signs are automatically hosted to the ceiling and have further parameters to define the hanger length and spacing while WC assemblies that are fixed to a wall will host to a wall when inserted into the model. Similarly while our panel cubicles will host to a vertical surface we have incorporated a parameter to activate an offset. If the panel cubicle was to be used with an integrated plumbing system then the user has the ability define the distance between wall, and rear extremity of the panel cubicle component to accommodate an integrated plumbing system. 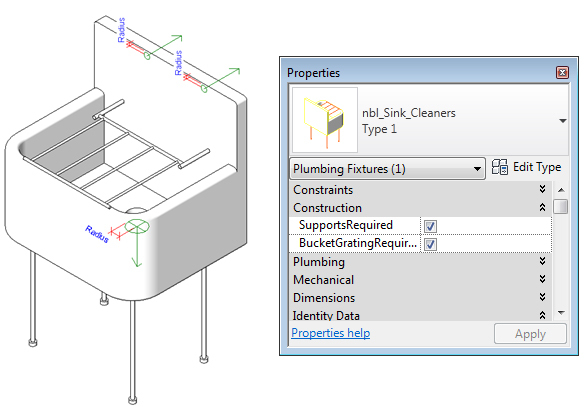 The National BIM Library objects complement the information that is included within NBS Create. One important principle of BIM is to say it once.. If we take our new floor finishes for example, the user may define the dimensions in their chosen BIM platform. However when compared to the specification we can begin to appreciate the level of detail that is included , such as adhesives, fasteners, accessories, and that is before we have even begun to discuss workmanship, execution and system completion. 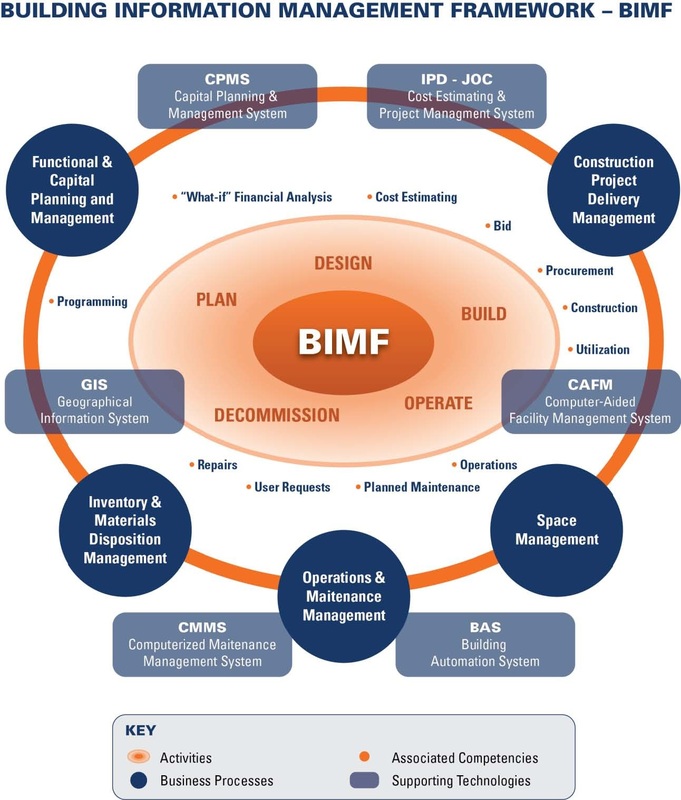 National BIM Library objects are designed to work with NBS and the more integration between these two tools the easier the building design becomes..
via http://www.4Clicks.com – Premier cost estimating and project management software for efficient project delivery – JOC – Job Order Contracting – SABER – IDIQ – SATOC – MATOC – MACC – POCA – BOA …. Per the NIBS Consultative Council there are four areas where our industry needs to focus highlights four in order to improve buildings and infrastructure. The Consultative Council provides findings and recommendations to the President and Congress on issues impacting the built environment. A summary of the report, “Moving Forward: Findings and Recommendations from the Consultative Council,” is in the Institute’s 2011 Annual Report to the President of the United States. The building community should work to define metrics for achieving high-performance buildings—including both qualitative and quantitative measures. The National Institute of Standards and Technology, the U.S. Department of Energy, the Institute and others should encourage cities and smaller communities to adopt and enforce updated model codes. Regulators and the building industry should support efforts by codes and standards developers and adopting jurisdictions to format criteria in ways that simplifies and enhances the ability to verify compliance. Software developers, regulators and building professionals should support the development of building information modeling (BIM ) for use as an automated code-checking tool that can improve compliance and streamline the approval process. The U.S. Government should develop incentives for state and local governments to require water metering of all buildings and to adopt and enforce comprehensive “green” building or plumbing codes. The U.S. Government should provide a tax incentive for building owners who voluntarily get their buildings audited and that implement the recommendations to reduce energy and water use. Policy makers and members of the building community are encouraged to use a common definition for sustainability. The building community needs mechanisms (e.g., budgets, insurance and tax incentives) to help finance sustainable life-cycle performance for buildings and related infrastructure. There is virtually nothing “new” in any of the above, nor any plan to gain traction in any particular area, let alone all. Until our industry and our Nation realizes the importance of efficiently managing the life-cycle of the built environment and defines processes and deploys digital tools to support requisite changes, BIM doesn’t have a chance. via http://www.4Clicks.com – Premier software for cost estimating and efficient project delivery – Job Order Contracting – JOC, SABER, IDIQ, MATOC, SATOC, MACC, POCA, BOA, etc. Exclusive 400,000+ line item enhancement of RSMeans Cost Data, visual estimating including QTO and Pattern Search, Document/Project/Program Management. Consultative Council members that contributed to the 2011 report include: ASTM International; American Institute of Architects; American Society of Civil Engineers; ASHRAE; Associated General Contractors of America; Building Owners and Managers Association, International; Construction Specifications Institute; ESCO Group; Extruded Polystyrene Foam Association; Glass Association of North America; Green Mechanical Council; HOK; Illuminating Engineering Society; International Association of Lighting Designers; International Association of Plumbing and Mechanical Officials; International Code Council; Laborers’ International Union of North America; National Insulation Association; NORC at the University of Chicago, and United Association of Journeymen and Apprentices of the Plumbing and Pipefitting Industry. To help the survey get industry wide representation more than 20 industry bodies, including the RIBA, assisted by getting their members to take part. Over 1,000 responses from across the industry were received. This cross industry participation has meant that, for the first time, the UK now has had a broad based, independent survey of these areas. The responses weren’t just from architects and other consultants: clients and contractors took part too and the report breaks down responses by each group. The findings give a full and at times startling picture of the UK construction industry’s relationship with contract and law. In some ways, the industry remains rather traditional. Collaboration, team integration and partnering have, at best, only been partially realised. That said, “bespoke” contracts are widely used too; almost one quarter of respondents had used them in at least one project in the last year. Twenty years ago, the Latham Report concluded: “Endlessly refining existing conditions of contract will not solve adversarial problems. Public and private sector clients should begin to phase out bespoke documents“. That “phasing out” is turning out to be a long process – but one we’ll be able to track with subsequent surveys. The adoption of electronic working also shows the traditional ways of working still remain. While we continue to envisage an electronic future of BIM orientated, collaborative working, more than 40 per cent of consultants and clients are still not using electronic tendering at all. There’s work to be done. The report also gives an understanding of the number of disputes: both the perceived trend in the number of disputes in the industry and the number of disputes actually gone into by respondents. Ninety-two per cent of the respondents agreed that the number of disputes in the sectors had either increased or stayed at the same level, with the current state of the economy being most often described as the cause. This somewhat dark assessment is borne out by almost one quarter of those taking part in the survey having been involved in a dispute during 2011. It’s significant that 49 per cent of contractors who completed the survey tell us that “poor specification” is a “most difficult or recurrent issue” leading to dispute. Together, the issues people gave as the causes of dispute make clear the need for jointly owned, standardized information. A clear information model including tight specification and variance tracking can help prevent legal action later. So, the overall picture that emerges is one of an industry that still makes use of traditional methods but which sees the place for more innovation. In many of the comments people made when completing the survey we could see a real desire for construction to be a collaborative, team-based enterprise where extra value is generated through cooperation. We hope to be moving towards a more collaborative industry. This move towards collaboration goes hand in hand with the move towards shared, co-owned information as well as in the choices of contracts and working methods. One of the most, if not the most, significant impediments to true team working and collaboration is legal dispute whether actual, threatened or envisaged. The survey uncovered these disputes are disruptive, expensive and not uncommon. That’s why from the outset, projects need standardized, shared information models that are easy to update, maintain and act upon. These need to clearly delineate where risk and responsibility lie. That’s not to say the solution is just a technical one, or one of keeping records, though doing these things well can only help. Any information model, any discharge of a contract, can only be as successful as the team that creates and uses it. Hope you enjoy reading the full report. via http://www.4Clicks.com – Premier software for construction cost estimating and efficient, collaborative project delivery – JOC – Job Order Contracting, SABER, IDIQ, SATOC, MATOC, MACC, POCA, and BOA. Exclusive provider of 400,000+ enhanced RSMeans Construction Cost Data. COBie, the Construction-Operations Building information exchange, is the United States standard for the exchange of information related to manage building assets. There are over twenty commercial off the shelf software products that support COBie. These products cover the entire facility life-cycle from planning, design, construction, commissioning all the way to operations, maintenance, and space management. While COBie provides the format for asset information, it does not provide details on what information is to be provided when, and by whom. This guide provides best-practice guidelines for these requirements. By referencing this Guide in design and construction contracts owners are now about to specify both the format and content of COBie deliverables. COBie does not add new requirements to contracts; it simply changes the required deliverables from paper documents, or proprietary electronic formats, to an open, United States standard format. COBie and this Guide may be thought of as a performance-based specification for the delivery of building information. Building Information Modeling (BIM) technology has demonstrated its ability to reduce overall project cost through the identification of physical conflicts between building components prior to construction. Resolving such issues during design eliminates expensive tear-out and rework during that would have otherwise occurred during construction. The use of BIM for geometric collision detection has been the starting point to understand the potential use of building information. The buildingSMART alliance has begun to unlock the non-geometric information content in BIM through the standardization of contracted information exchanges that will eventually replace the paper-based document exchanges currently specified by contracts. The goal of these standards is to provide the required information content when created, and securely share and update specified portions of that information with authorized team members as the project proceeds. It is assumed that readers of this document have viewed these two on-line presentations. There are over twenty commercial off the shelf software products that support the production and/or consumption of building asset information through COBie. The results of software testing conducted by the National Institute of Building Sciences are documented on the COBie Means and Methods web page7. Given the differences in software configuration and version, those producing or consuming COBie deliverables using commercial software solutions should conduct their own test using any one of three common test models8.